Remedial massage may give you the much-needed relief from pain! Our therapist will stimulate your body’s lymphatic drainage to clear and remove toxins in the muscles and increase blood flow to the problem area(s). We do that to stimulate and activate your body’s natural healing mechanism and calm the peripheral nervous system. It’s big science and it works for many pain sufferers! Remedial massage also improves muscle tone and joint mobility driving stiffness and tension away. While other massage methods mostly focus on relaxation, the goal of remedial massage is to enable your body to heal itself. There are many remedial massage therapists. What makes us different is that we take the time to learn the context of your pain including your personal history and lifestyle. Before each treatment, we perform a thorough analysis to identify any regions of the body suffering from overload or stress. We will check your pelvic alignment, the contour of the trapezius muscle and any unusual skin markings and conditions. Our holistic approach and expertise will help us understand what causes your pain. At times, a knee injury may trigger headaches; that’s why self-medication is not recommended. is always the first step to recovery! Book your remedial massage today and you will also get a bonus 2-hour Floatation Therapy session ($132) absolutely free! Floatation Therapy is the ultimate form of relaxation and stress release. You will float on your back in a warm, zero gravity, and magnesium-enriched water solution, insulated from light, noise and outside stimuli. We know that the unique combination of remedial massage and floatation therapy will give you the best results for pain relief. This deal can only be accessed here on this (hidden) page. Make sure you bookmark it. You can make a booking via our secure online form, or by calling 9440 9453 Monday to Friday (8am–7pm) and Saturday (9am–4:30pm). 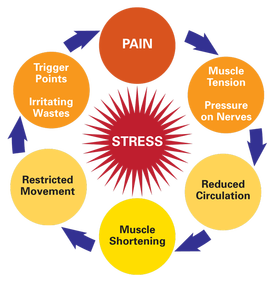 The complexity and stress of everyday life can put your body into a state of on-going tension leading to reduced circulation, restricted movement of muscle and ligaments leading to muscle shortening. Shorter muscles can lead to movement imbalance and postural instability and dysfunction. That internal imbalance further contributes to toxins accumulating in your body aggravating your pain further. Abnormal movement of muscles and joints puts pressure on your nervous system leading to acute pain where you may crawl around the house or walk with a limp. Without the right therapy your pain usually gets worse. That’s where our deep tissue remedial massage can help.... Book your treatment today and finally say goodbye to your pain!